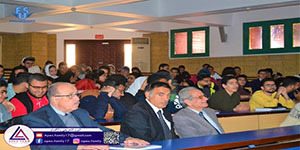 The faculty of Engineering organized orientation session for the first year students on Tuesday 9/4/2019 to get them acquainted with the faculty departments. At the beginning of the session, Prof. Mohamed Gaber Abou Ali, the Dean of the Faculty of Engineering, gave a welcoming speech and encouraged the students to properly choose departments through getting fully cognizant of the study programs of each department and its work fields. 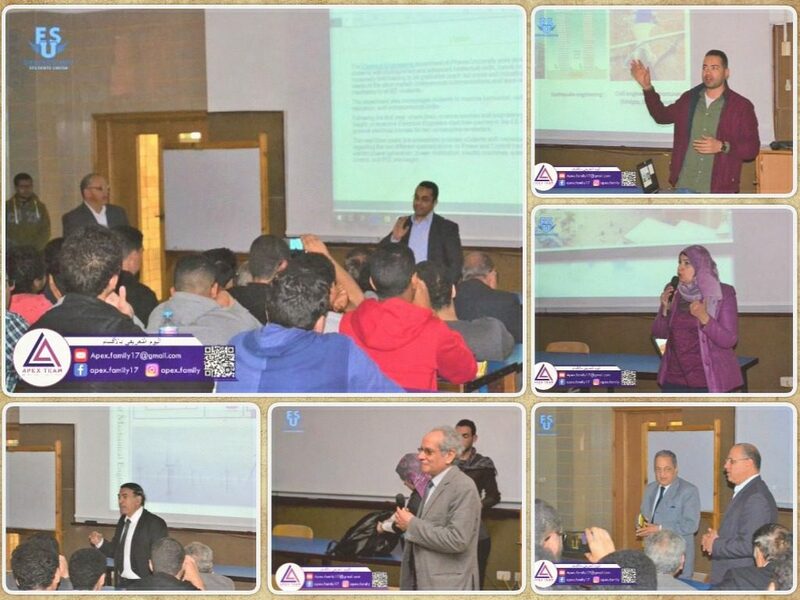 This was followed by the speech of Prof. Mohamed Naim, the Vice Dean and the Head of the Basic Sciences Department who emphasized that the choice should be based on scientific basis not based on what they have heard. Representatives of all the faculty departments: The Mechanical Engineering, the Electrical Engineering, the Construction Engineering and Management, the Computer Engineering, and the Petrochemicals Engineering, presented in a simple and interesting way the scientific programs as well as work fields and future job opportunities provided for each department. This is part of the faculty efforts to increase the awareness of the students of the specialized programs provided by the faculty through its different departments in order to help the students to form an idea of the department they want to join.